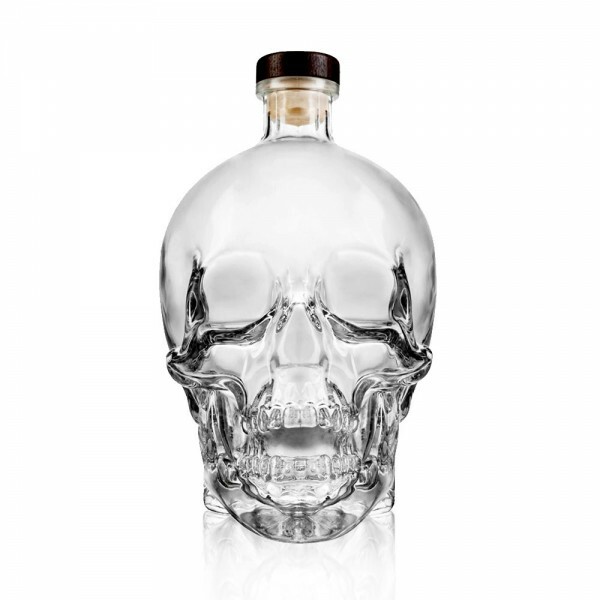 The Crystal Head Magnum is seriously impressive. Made by Milan-based manufacturer Bruni Glass, this bottle will grace any drinks cabinet. And the contents more than live up to the stylish bottle. Crystal head founders Dan Aykroyd and John Alexander have produced a pure, smooth vodka with one of the cleanest palates out there. This Canadian Vodka starts out with grain from the fields of Ontario and water from a glacial aquifer in Newfoundland. Although Crystal Head is quadruple-distilled, they decided to filter it through 500-million-year-old crystals, known as Herkimer diamonds, to add the finishing touch. This isn't just a prop, it's serious Vodka. Crystal Head was awarded a double gold medal at the San Francisco World Spirits Competition.